A young girl finds herself entrenched in a dark mystery after the deaths of her parents in this “beautifully written” (School Library Journal) fantastical novel from the author of The House of Months and Years. 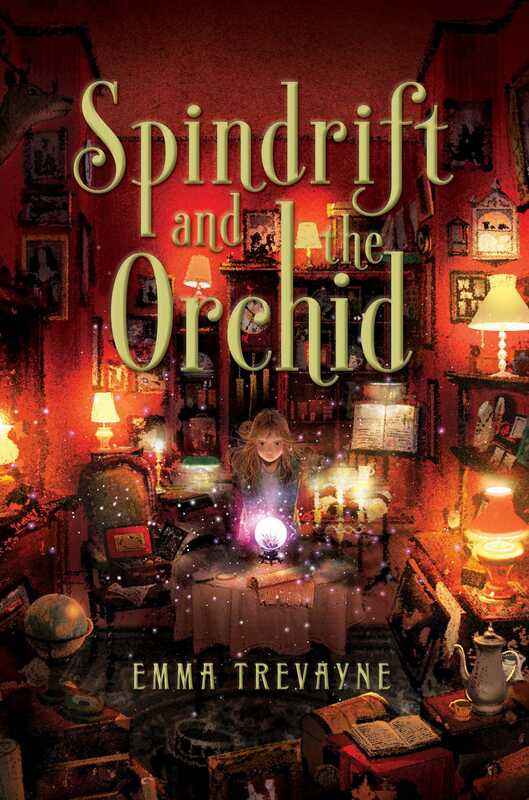 When a man walks into her grandfather’s curiosity shop and asks about a black orchid, Spindrift turns him away. She’s never seen such a thing. Until one night it appears. Spindrift, an orphan, has one keepsake from her parents…a clear glass orb. Except it’s not quite clear anymore. She watches as a black orchid forms inside the crystal. Then the flower blooms into a towering woman in a dress of midnight silk and air, a woman with the power to grant wishes. But having everything you want is hard to hide. And soon, Spindrift—and her orchid—are being hunted. Left running for her life, Spindrift must ask herself who her parents really were, and whether a wish is really just a curse in disguise.